Steadily improving year after year, Kerry Werner is a favorite for cyclocross nationals, partly because of a spate of unexpected injuries. Since his first year in the elite cyclocross ranks five years ago, Kerry Werner has been on a steady upward trajectory. He saw the tail-end of the Tim Johnson/Ryan Trebon era. Jeremy Powers became the man to beat soon after, and then Werner witnessed the rise of Stephen Hyde, often on the podium while Hyde stood above. The window of opportunity could be opening for Werner in 2018. Werner knows it isn’t his lot to burst onto the scene. His first season was winless, while in 2014 he won four lower-tier, C2 UCI races — but always when top riders like Trebon or Powers were racing elsewhere. He had another drought in 2015. 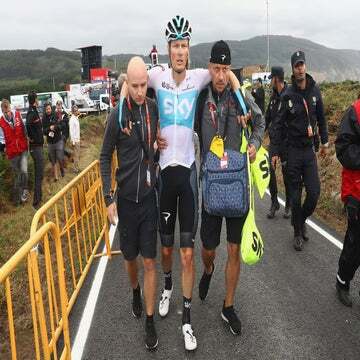 “I’m not sure how easy it comes for everybody else, but it surely doesn’t come easily for me,” Werner told VeloNews. Things picked up in 2016 with two wins. Since then, he has been on the rise. This season, Werner won his first UCI C1 race, a big step forward. “Every year I’ve been able to build off of the last season’s success. This has been one of those years,” the 27-year-old added. However, this hasn’t been an ordinary year for the rest of the U.S. men’s cyclocross field. 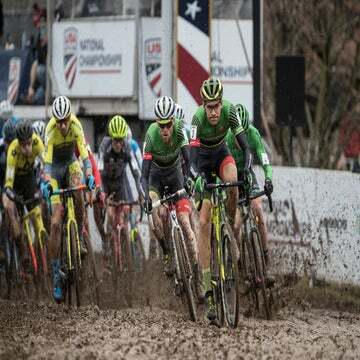 Two-time reigning national champion Hyde (Cannondale-Cyclocrossworld.com) has been set back by two injuries: a broken sternum at the Waterloo World Cup and an ankle injury at Pan-Am Championships in early November. Powers (Fuji-Pactimo) has struggled with successive illnesses and a nagging back injury. Only last weekend, two other top riders — Jamey Driscoll (Pivot-Stan’s) and Tobin Ortenblad (Donkey Label-Santa Cruz) — were knocked out of the season with broken bones in unrelated crashes. Werner’s steady, multi-year build might be coinciding with a power vacuum at the top of American cyclocross. It is a big opportunity, but Werner would rather see all of the top contenders at nationals in Louisville, Kentucky December 16. He feels that the races lack the same intensity and depth without riders like Hyde and Powers. That won’t stop him from winning where he can though. And with nationals only weeks away, Werner is keeping his eye on White, who looks like the heir apparent in the Cannondale-Cyclocrossworld.com camp. A generational shift may be underway in American men’s cyclocross, but Werner is careful not to write off Hyde, despite the champ’s nagging injuries. This weekend’s NBX GP of Cross in Warwick, Rhode Island will be a final opportunity for these three favorites to test each other’s form before the Stars and Stripes jersey is up for grabs. The young White flashing brilliant form versus the ailing veteran Hyde versus Werner, who may have yet to reach his full potential.